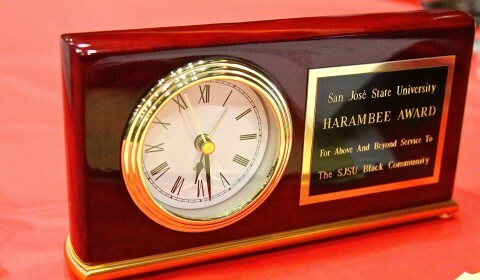 SAN JOSE, CA – President Mary Papazian introduced herself to the SJSU community, reflected on the university’s legacy, and shared her optimism about its future at the Fall Welcome Address, held noon Aug. 25 in the Student Union Ballroom. This was President Papazian’s first formal speech to the campus community since taking office July 1. Academic Senate Chair Michael Kimbarow opened the event and welcome attendees. The speech is an annual tradition marking the start of the academic year. Read the president’s prepared remarks. 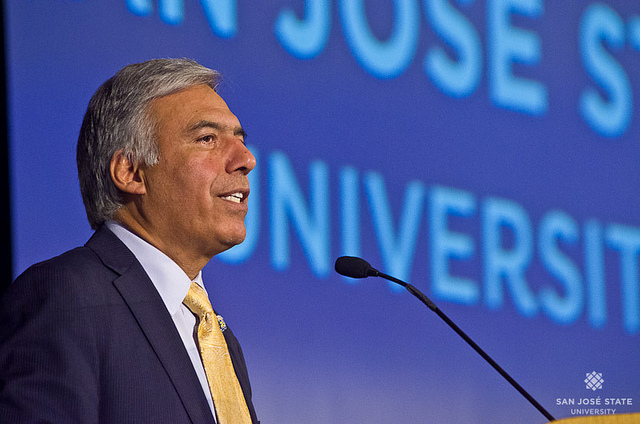 With more than 31,200 students and nearly 4,370 employees, San José State University continues to be an essential partner in the economic, cultural and social development of Silicon Valley and the state, annually contributing more than 7,000 graduates to the workforce. Ruby Bridges today (photo courtesy of Ms. Bridges). SAN JOSE, CA – Civil rights icon Ruby Bridges, the first black child to attend an all-white elementary school in Louisiana, will be on campus Feb. 24 to receive the John Steinbeck Award. 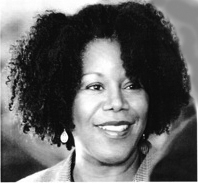 “An Evening with Ruby Bridges” is slated for 7:30 p.m. (doors open at 7 p.m.) in the Student Union Ballroom. 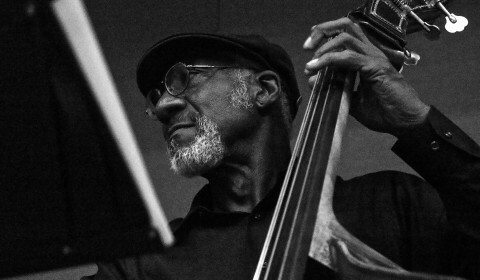 The award presentation will culminate an evening featuring an onstage interview of Bridges by KQED’s Joshua Johnson. This event is sold out. More information is available on the Martha Heasley Cox Center for Steinbeck Studies’ website. Posted Sept. 26, 2014 by the Silicon Valley Business Journal. When Ernest J. Kump Jr., a local architect known for innovative school planning, designed the student union at San Jose State University in the 1960s, it was considered forward thinking for the time. Decades later, the 144,000-square-foot structure no longer served the needs of the school or the students, said Nick Seierup, design director for the Los Angeles office of the architectural firm Perkins + Will. “As schools have evolved, the ways in which students interact has also evolved,” Seierup said. Posted by ABC7 on Jan. 25, 2013. SAN JOSE, Calif. (KGO) — Police say young drivers are among the most likely to text while driving. It’s habit they’re trying to break. 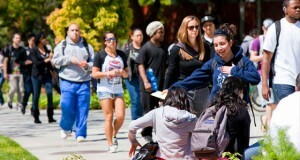 So they went to a South Bay college campus Friday with a novel approach. Over 200 police agencies around the state, including San Jose, are mounting a big crackdown this year on texting and talking on mobile phones while driving. And they’re using a video game-like simulator to prove how dangerous it is. Sometimes it takes technology to demonstrate how dangerous technology can be. San Jose State University junior Ryan Harper got into a simulator to learn a lesson about texting while driving, something he readily admits he does. “It’s basically been the grace of god that I haven’t been in an accident while driving and texting,” Harper said. AT&T is spending millions of dollars to drive home the message that it can wait if you get a text message on the road. And as adept as Harper is, he got into a crash. San Jose police were also on hand to let students know they’re planning 42 enforcement events this year to nab distracted drivers, whether they’re texting or talking on a mobile phone. They issued 123 citations last year. Most of the 3,500 crashes in 2012 involved distracted drivers. “I think it’s difficult for people to break the habit because we get more and more comfortable with the technology that we have, and we have this sense of confidence that we can just text a quick response to something or make a quick phone call to get information,” said San Jose police traffic enforcement Sgt. 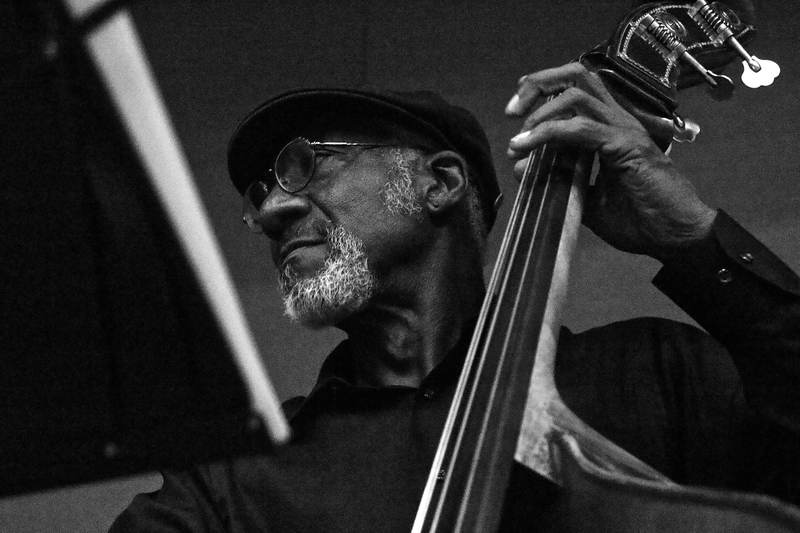 Jim Hagen. As part of its safety campaign, AT&T has an app that intercepts text messages when you’re driving, sending a reply that you’ll text back when it’s safe to do so. And sometimes it takes a real life story — which AT&T has turned into public service announcements — to underscore that texting is two-way process. Texting someone who is driving can have fatal consequences. Texting a simple “LOL” or “yeah” might take only a few seconds. But San Jose police point out that looking down for five seconds at 55 miles an hour means you’re driving blind for the length of a football field. Originally published by the San Jose Mercury News Sept. 11, 2011. Students and faculty in San Jose State’s art and art history departments have collaborated to turn a potential campus eyesore into a thing of beauty. With demolition and construction taking place over the next two years on the university’s expanded student union, blue barrier walls have been constructed around the area, an often-used thoroughfare for campus pedestrians. But the creative teams from the university — a club dubbed the Dirty Brushes — have turned the blank wood walls into a canvas for a series of student-replicated self-portraits by well-known artists such as Van Gogh, Frida Kahlo and Picasso. There’s also an interactive component, thanks to a guided phone tour (call 408-213-4295), narrated by art department Chairman Brian Taylor, who provides some information about the project, “Better than Blue.” On the phone tour, students also give the background of many of the self-portraits. For probably the first time, it’ll be a real shame to see construction walls come down when the project is completed in 2013. SJSU in the News: Art Majors Turn Student Union Construction Site Barrier "Into a Thing of Beauty"
Over the summer, there has been “a lot of coordination between the new and old systems” at the Student Union construction site, said Gloria Robertson, information / marketing manager of the Student Union. Construction workers upgraded utilities, including plumbing. This resulted in the temporary closure of a pathway between the north side of the Student Union and Engineering Building during the summer. Robertson said the Student Union will provide updates if there are additional pathway closures during the fall semester. Workers have also started preparing for the renovated building’s new foundation. There are towering pieces of construction equipment at the site called pile drivers, which drives piles into the ground for foundation support. Foundation excavation will begin shortly, Robertson said. “We’re gonna be one building, but there will be an east side and a larger portion is on the west side,” Robertson said. The east side, a former outdoor amphitheater across from the Art Building, will become an indoor theater and lecture hall that can seat about 300 people. 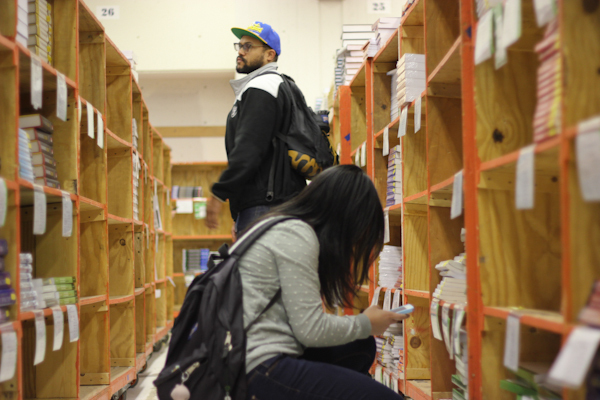 Many current student services, such as Associated Students government, Cesar E. Chavez Community Action Center and the Print Shop will move to the Student Union after the renovation. New features include a convenience store and a 24-hour coffee house. The Student Union’s projected completion date is 2013. You can follow along with the progress of the Student Union expansion and renovation by visiting MoreCampusLife.com and its Facebook page. 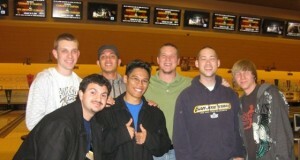 Five Spartans are competing in the 2011 USBC Open Championships. 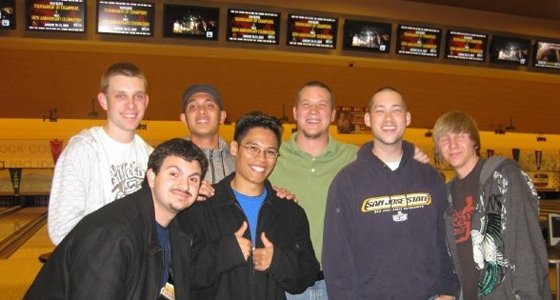 Top row, left to right: Justin Bautista, Brian Villatuya, professional bowler Robert Smith, David Doyle and Michael Grzyb. 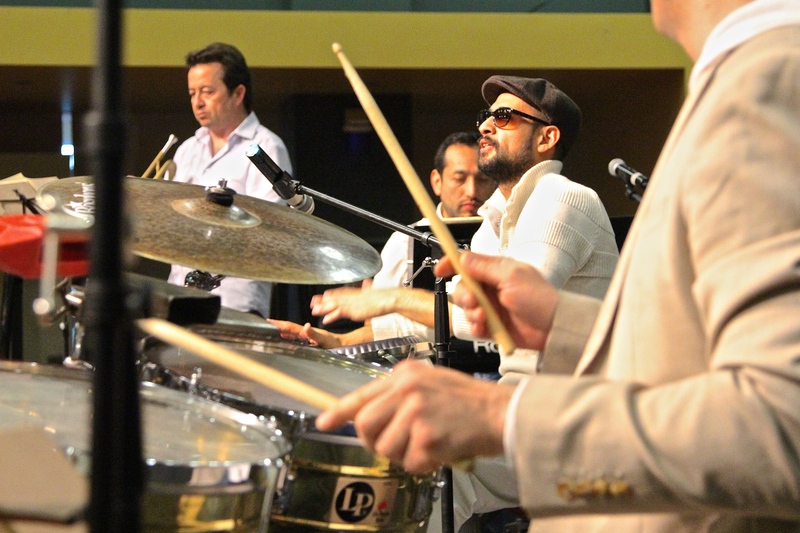 Bottom row, left to right: Pierre Ramos and Royce Agustin. Photo courtesy of Royce Agustin. A five-man Spartans team is representing SJSU at the United States Bowling Congress (USBC) Open Championships in Reno, Nev. 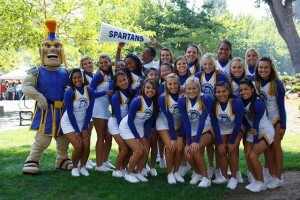 The SJSU team’s 2011 competition dates are June 21-22. The group consists of Royce Agustin, Justin Bautista, David Doyle, Michael Grzyb and Brian Villatuya. This is the second consecutive year that former and current members of SJSU’s bowling team are competing in this annual tournament, said Agustin, a kinesiology lecturer and SJSU alumnus. The 108-year-old Open Championships is the largest participatory sporting event in the world, according to USBC’s website. Bowlers compete as individuals and as a team against other groups. Last year, 70,000 bowlers competed for almost $6 million in prize money, according to the 2011 event guide. Bautista has been part of the SJSU bowling team for six years as a player, president or coach. Collegiate bowling has helped prepare Bautista and his teammates because they have experience with bowling with each other. 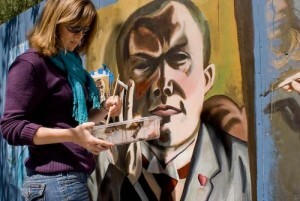 Kelsey working on her mural of Max Beckmann. Click on the photo to see more photos on the SJSU Facebook photo album. 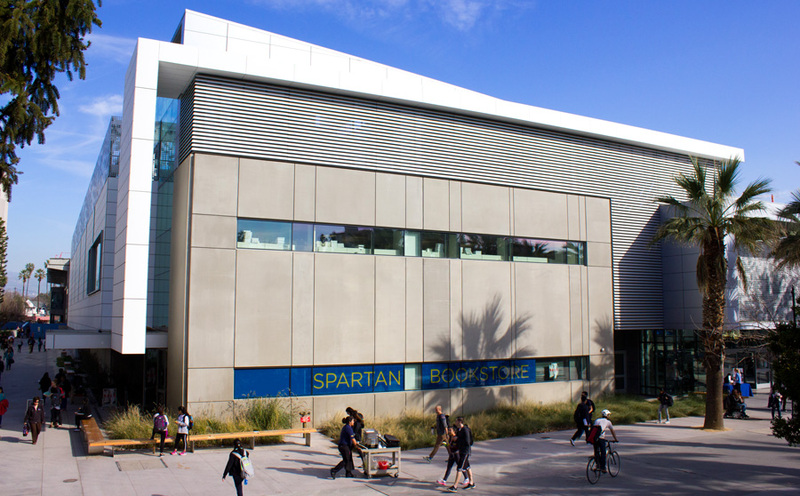 It’s hard to miss the obtrusive blue walls erected to help close off parts of construction as SJSU prepares for a newly upgraded Student Union. While most passers-by see only painted plywood, a few creative Spartans saw a blank canvas. 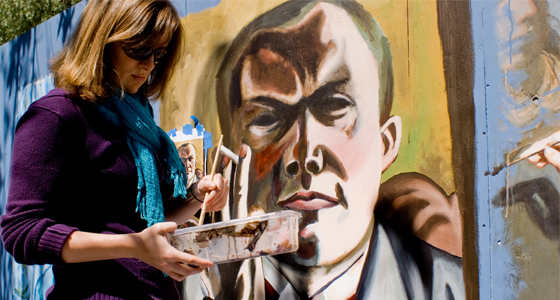 With guidance and inspiration from Art and Art History Associate Professor Gale Antokal, a club on campus called The Dirty Brushes has begun painting murals of historic and contemporary artists’ self-portraits. “This project represents a vital collaboration between Art and Art History and Visual Culture areas,” said Antokal. “It celebrates the continuity of past and present by showcasing artist self-portraits of the past five hundred years.” The faces include those of Jan Van Eyck, Michelangelo, Mary Cassatt, Pablo Picasso, Frida Kahlo and Jean-Michel Basquiat. The group, working with permission as well as a small grant from the Student Union, is currently working on 25 to 30 portraits on the walls near the Music and Art Buildings and the Student Union. The project will ultimately extend to the walls near 7th Street. 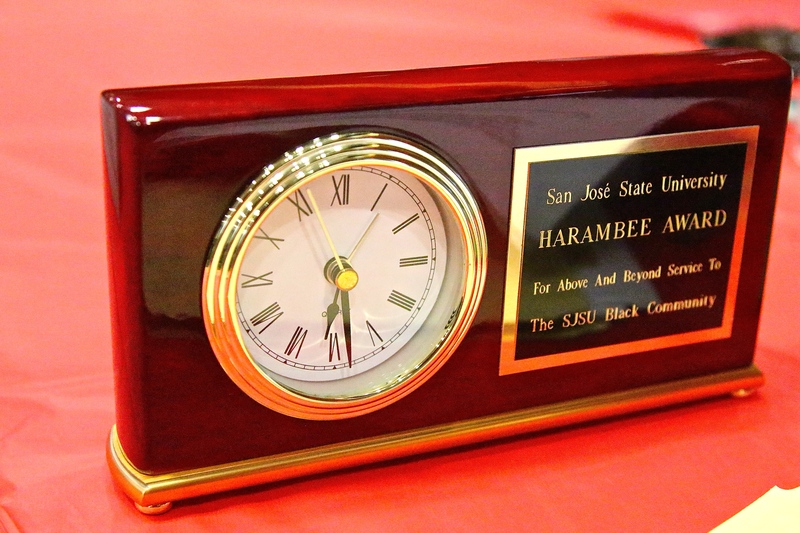 “We felt this was a project that truly supports the Student Union’s mission to promote social, recreational, cultural and educational development at SJSU. It is also a unique opportunity to visibly showcase the artistic and creative talent of our students,” said Student Union Executive Director Cathy Busalacchi. Other art students will also be involved in the project. Students from art history 101 classes provided the initial 50 suggested self-portrait images for the project and will develop a written catalogue for the portraits selected by the Dirty Brushes. The portrait catalogue will be used on the department and college website and in a brochure for recruiting from local high schools with Advanced Placement art programs. Art 100W classes, a class with students from a variety of art and design majors, will develop an electronic public interface. These students plan to work with a company that facilitates guided cell phone tours for museums, universities and non-profit arts organizations throughout the country. Students, faculty, and the community will be able to stand in front of the murals and use their phones to learn more about each work. Antokal said the mural will be in place for approximately two years, beginning mid-spring 2011, with the goal of bringing significant attention to the college’s programs. Students and the community are welcome to watch the artists work, typically on Fridays and weekends. 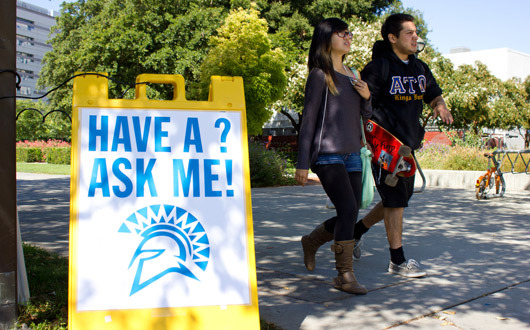 After 42 years, San Jose State University is about to get a bigger, and better, student union. The challenge is to complete the project while class is in session. The university kicked off an $88 million expansion last November in an effort to better meet the students’ growing needs. 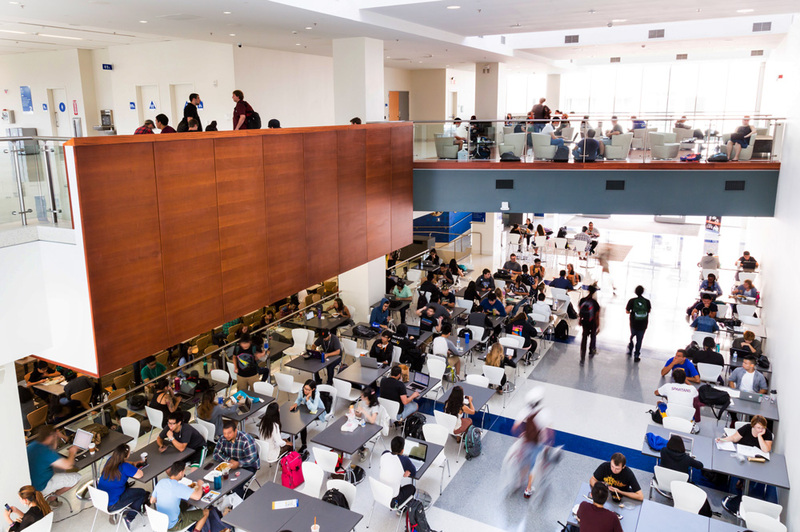 The university’s current 140,000-square-foot student union has long been bursting at the seams, according to Cathy Busalacchi, executive director of the Student Union Inc., a nonprofit within the SJSU system. 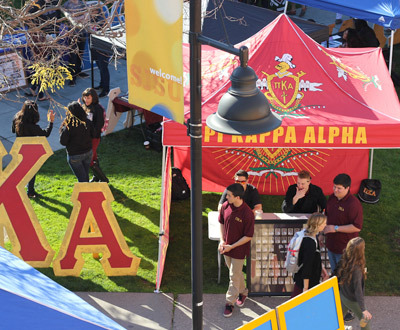 In the past five years, the number of clubs on campus has climbed to 360 from 220. As the number of student groups have increased and grown larger in size, the facility’s lack of large meeting space has become more of an issue. 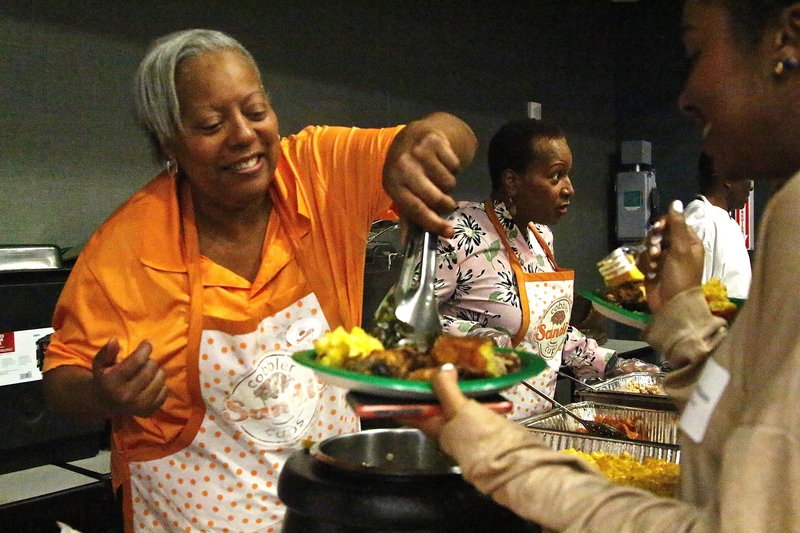 “We only have one room, besides the ballroom, large enough to accommodate 75 or more people,” Busalacchi said. Daniel Benavides of O’Connor Construction Management, which is overseeing the development, said the facility’s design has taken more than two years to complete. There have also been concerns with underground utilities. “We’ve run into things that weren’t identified, so we will have to re-route so we can put the building where it needs to go,” he said. Chris Van Plet, a project manager with general contractor Lathrop Construction, said there has been worry that the underground utilities will hold up the project, but it’s too early to tell if that will be the case. The first phase of the project is focused on a new east and west wing while leaving the current space intact so as to cause minimal disruption to students. 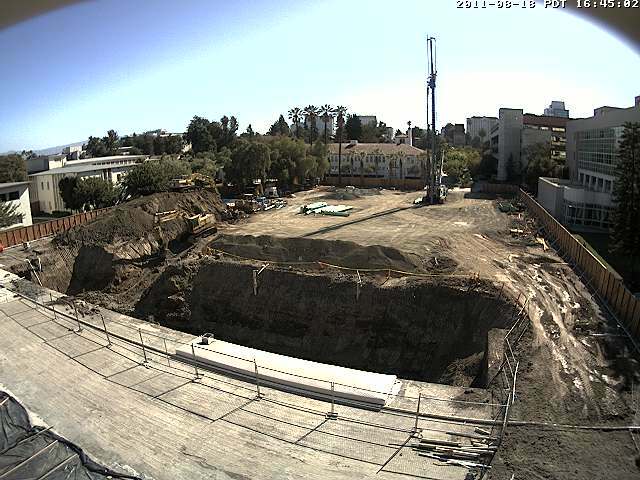 The existing building also will receive a seismic retrofit and be brought up to meet current safety code. One of the most difficult tasks has been to figure out how to install a steel structure into the existing caste to provide adequate seismic resistance to strengthen the building, said Bob Lavey, managing principal with Perkins + Will, the project’s architect. Once completed, the new 238,000- square-foot student union will boast numerous new features including: 10 new food concepts; a 24-hour convenience store; a much larger ballroom that can hold 600 to 650 people and can be divided into three; a 24-hour cyber café and several large meeting spaces. The old outdoor amphitheater will be converted into a modern indoor theater-style lecture hall with more than 300 seats. The new building will feature a more modern glass and steel design but still blend with the more classical aesthetics of the current facility, Lavey said. Once the new sections are complete, focus will shift to revamping the current student union space, which will change “dramatically,” according to Busalacchi. This part of the project is slated for completion around November of 2012. With gray cement and dark wood paneling on every floor, the current building is “not very open and light,” Busalacchi said. The dark wood banisters on every floor will be removed, and while the cement will stay, it will be power-sprayed for a fresher look. The new facility should be eligible for LEED Silver and even possibly LEED Gold certification, Lavey said. Student Union Inc. is funding the project from the sale of bonds held by the chancellor’s office, to be repaid through a combination of revenues generated from concerts, gym memberships, and meeting space rentals, and annual student fees paid directly to the Student Union Inc. The expansion comes at a time when costs for materials, labor and planning are much lower compared to a few years ago. Final completion of the building is slated for summer 2013, at which point services from across the campus, including International Extended Studies, the Women’s Resource Center and the Cesar Chavez Community Action Center, will begin moving into the new building. Most Student Union Inc. services will be limited or closed during that summer to accommodate the moving process before the facility’s official launch in the fall of 2013. In the end, Busalacchi hopes the new Student Union will help put SJSU’s commuter reputation to rest. “Some students may live around the Bay Area or close to campus,” she said. The goal, Busalacchi said, is for the campus to become a place that all the students can enjoy and where they can feel comfortable. SAN JOSE, Calif., — San Jose State University will hold a groundbreaking ceremony for the expansion and renovation of its Student Union building at noon Nov. 17 on El Paseo de Cesar E. Chavez (the Seventh Street Plaza). This event is free and open to the public. When completed in 2013, the 235,000-square-foot structure will span from the Seventh Street Plaza to the Ninth Street Plaza. Design and construction costs will total $90 million. King Library, a $177.5 million high-rise completed in 2003, and Campus Village, a $244 million residential complex completed in 2005, anchor two corners of campus. The new Student Union will centralize many student organizations and services, and feature a food court, coffee house, print shop, and computer center. An existing amphitheater will be converted into an indoor theater and lecture hall. 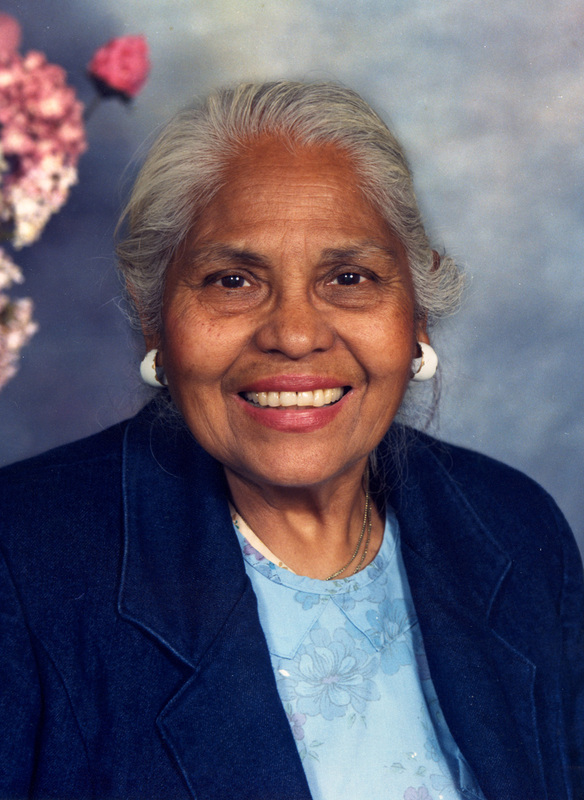 The project will begin with construction of a new wing on the site of the old cafeteria, and conclude with the earthquake retrofit and renovation of the existing structure, a 144,000-square-foot building completed in 1969. The architect is Perkins + Will.” The general contractor is Lathrop Construction Associates. 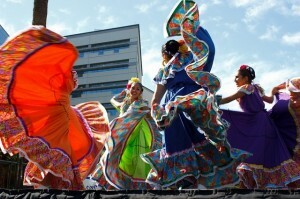 SJSU will seek LEED Gold certification for the building. The new Student Union will be financed with bonds, repaid with revenue from various sources including Student Union events, space rentals, and annual student fees. 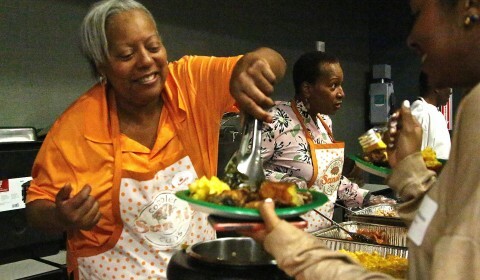 The project will not use funds that could otherwise be spent for academic purposes. Beginning this project during an economic downturn will mean saving money on construction costs, given the drop in demand for such services. View the Student Union expansion and renovation website. 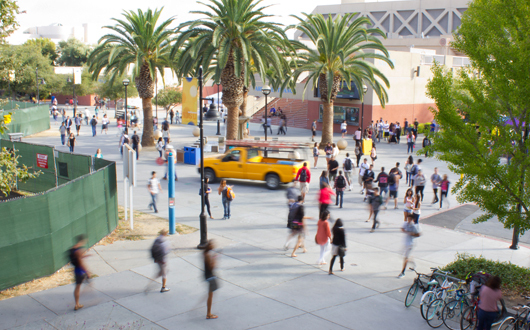 San Jose State — Silicon Valley’s largest institution of higher learning with 29,000 students and 3,190 employees — is part of the California State University system. 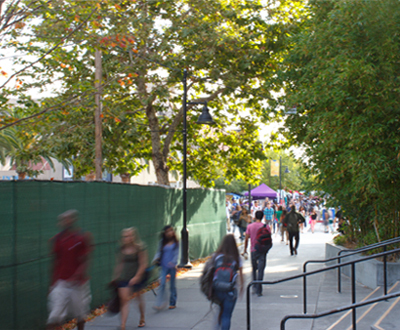 SJSU’s 154-acre downtown campus anchors the nation’s 10th largest city.